First time with a paddle in your hands? Discover the joys of sea kayaking on our beginner-level introduction course. Here you will learn the basics in a safe and controlled environment. All gear is included so as to keep you warm while paddling. “A warm student is a happy student. And a happy student is a good learner” – goat wisdom. During the course, our certified and professional (and very funny) instructors will teach you about safety on the water, proper paddling technique and how to rescue yourself and others. After completing this course you will be awarded your very own NPF våttkort. 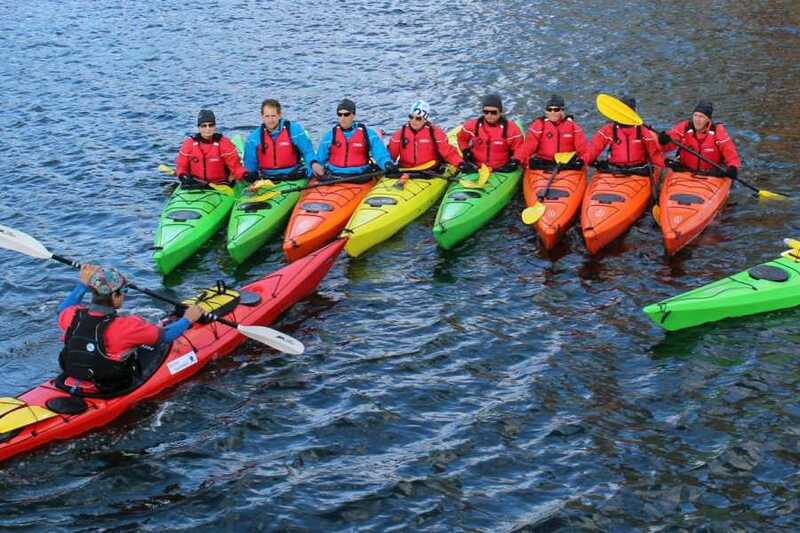 This nationally recognised qualification will allow you to rent kayaks from us so that you can paddle alone or with friends. The freedom of adventures awaits you! You will be able to borrow paddle clothing, spray pads, oars and kayaks for free during the course. We advise you to bring wool underwear and a towel so that you stay warm and good. Location and duration: The course is held at Sollerrudstranda in Lysaker. You see our container, which is located in the yard next to Sollerud Båtbyggeri & Slipp AS. If you are lost, you can only meet at the beach - our instructor will find you there! There is no wardrobe, but we have changing ponchos you can borrow. What experience do you need: You need no previous experience with paddling to attend this course. And yes, you will get wet. Du får låne padlebekledning, spruttrekk, åre og kajakk gratis under kurset. Vi anbefaler deg å ta med ullundertøy og håndkle, så du holder deg god og varm. Sted og varighet: Kurset holdes på Sollerrudstranda i Lysaker. Du ser vår container, som er plassert i verftet ved siden av Sollerud Båtbyggeri & Slipp AS. Hvis du ikke finner frem, kan du bare møte på stranden - vår instruktør finner deg der! Det er ingen garderobe, men vi har skifte-ponchoer du kan låne. Hvilken erfaring trenger du: Du trenger ingen tidligere erfaring med padling for å delta på dette kurset. Og ja, du vil bli våt.